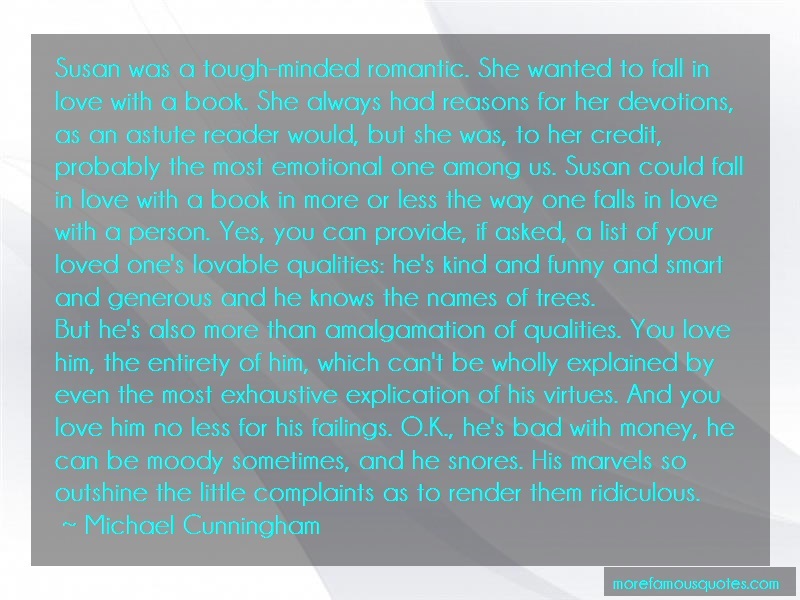 “Susan Was A Tough-minded Romantic. She Wanted To Fall In Love With A Book. She Always Had Reasons For Her Devotions, As An Astute Reader Would, But She Was, To Her Credit, Probably The Most Emotional One Among Us. Susan Could Fall In Love With A Book In More Or Less The Way One Falls In Love With A Person. Yes, You Can Provide, If Asked, A List Of Your Loved One's Lovable Qualities: He's Kind And Funny And Smart And Generous And He Knows The Names Of Trees.